The Lembeh strait is situated in the north of Sulawesi in Indonesia. It’s a place where we find an epicentre of marine bio diversity. The most seldom seen critters of the underwater world are seen here regularly. 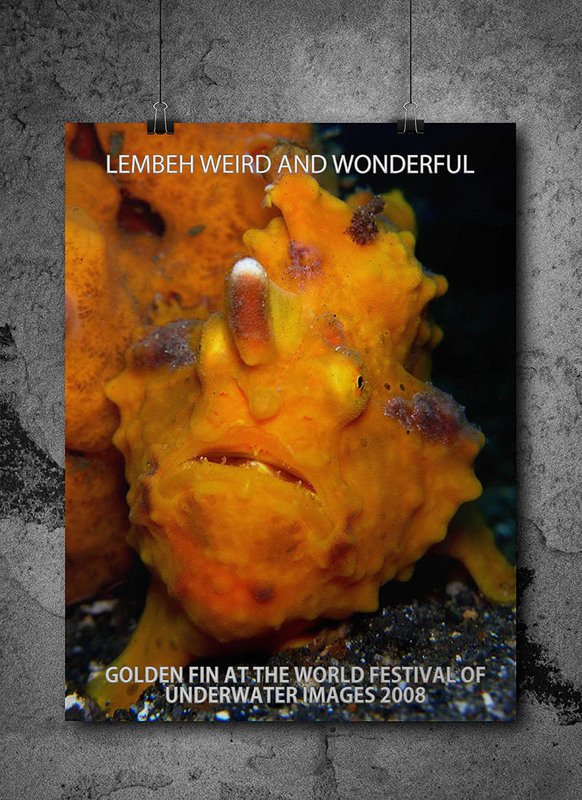 The amazing beauty of the Lembeh Strait will amaze you as you’ll see for the very first time many creatures you didn’t even know they exist. Duration : 52 minutes with dutch, French, English or Spanish commentaries. An extra introduction film is shown before the main docu ! The full program and presentation has a duration of +- 2 hours ! On earth all animals have to feed to stay alive. They do this in many different ways. In the underwater world some catch very small plancton, other are fierce hunters chasing for bigger prey. A fascinating look at how animals feed in order to survive and assure their survival. 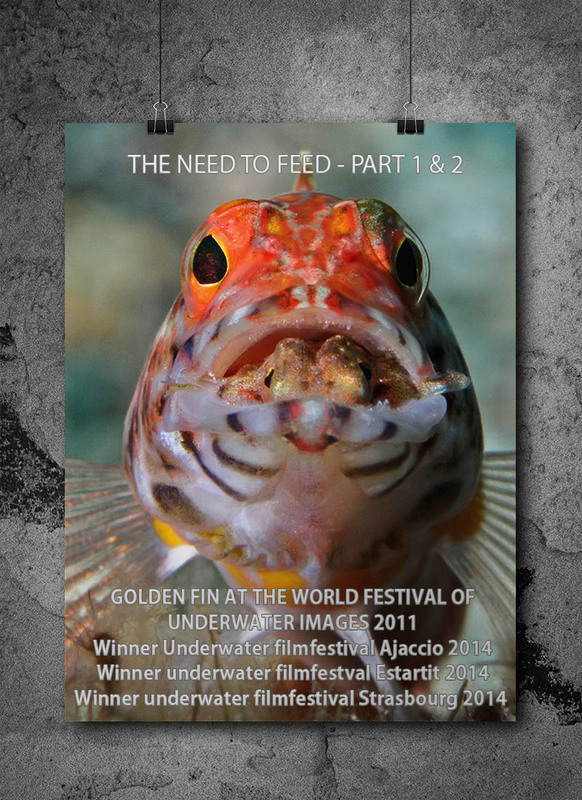 The need to feed: invertebrates’ received the Golden Fin – 1ste prize professional filmproductions at the World Festival of underwater images in Marseille 2011. Every presentation is a full evening event with possibilities to ask questions and discussions. Use of HD Video projector and projection screen included in the price. Transport expenses 0.25 eurocent/km two ways for a maximum of 300 km in total. If total distance more than 300 km : 0,75 eurocent/km for every km above the 300 km range. Music and film rights are to be arranged with the responsible authorities in the country of presentation (In Belgium SABAM). These expenses are not included in the presentation fee and need to be arranged by the organizer with the author rights office.